Humidify your living space to prevent stuffy air + dry skin. Use essential oils to give your room a beautiful fresh smell. Safe and Easy to Use：4 hours automatic power-off protection and 1 hour automatic off the lamp. 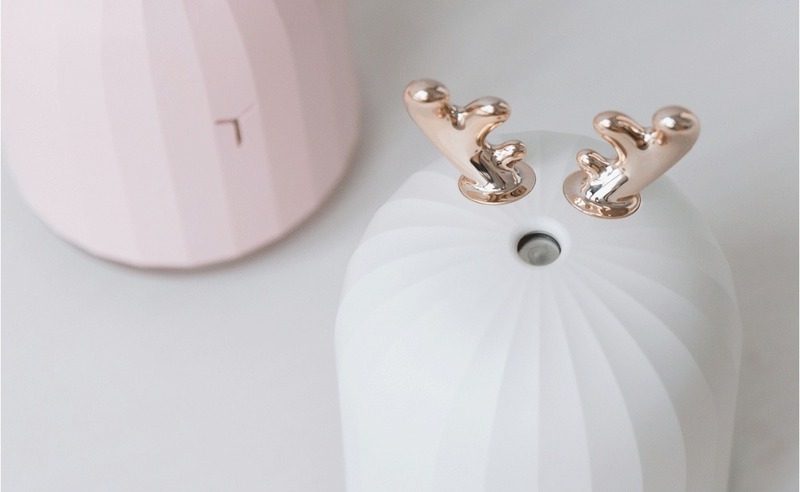 The cute design works perfectly in your home or at the office. Seven Vibrant LED light color options. 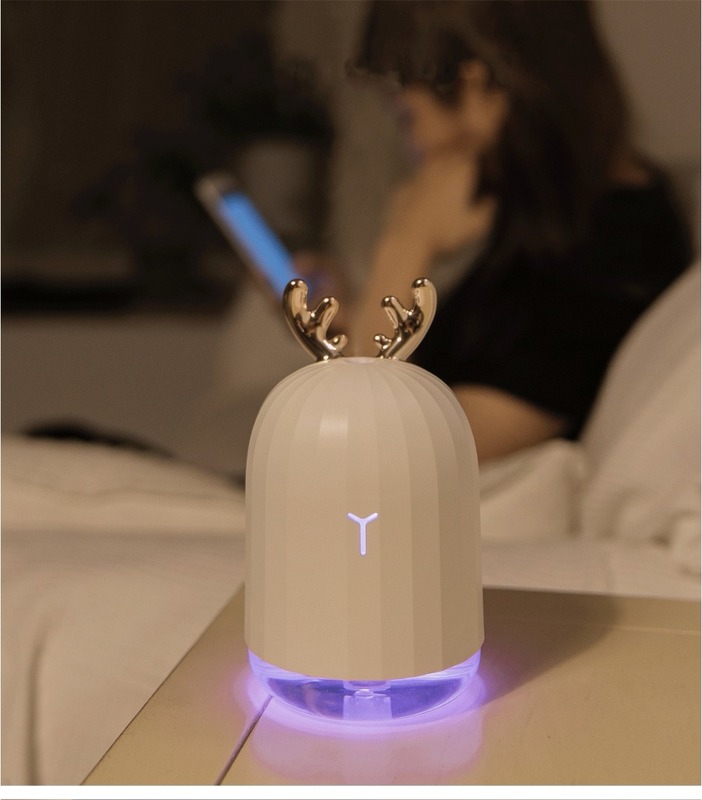 This ultrasonic mist humidifier can help reduce the risk of infections, as most viruses and bacteria struggle to travel in moist air. Easy to use, very cute and also has a light changing function. You can set that off by holding the button twice. Ready to use after putting water in it. 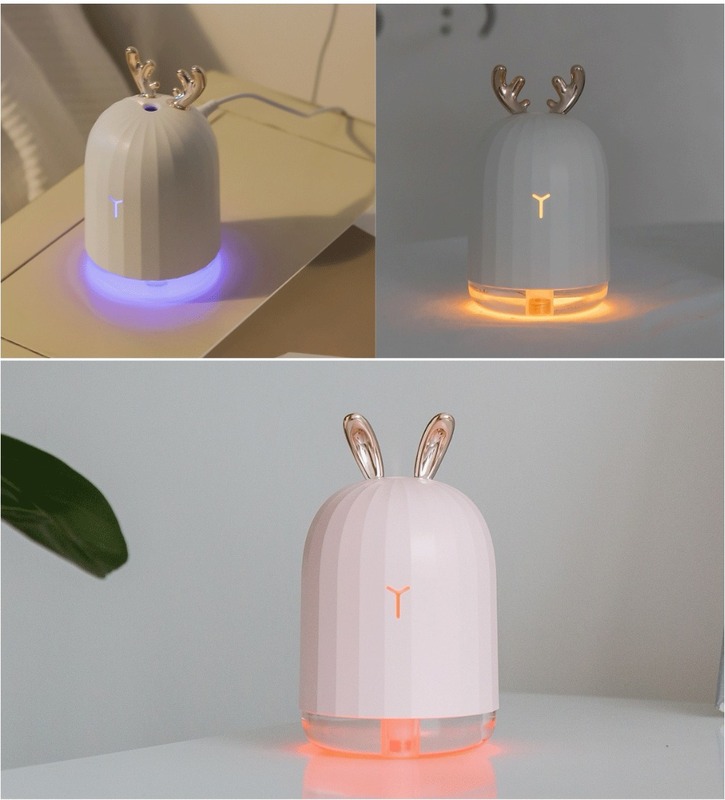 Very cute design and it works very well. Beautiful, very cute. The design is the easiest and most primitive, while it looks quality. Works only from usb. The filter is spare, the instruction is in chinese, but it is also clear how to use it, there are no options, one cord, one button. In general, for a small room a very nice thing, beautifully glows plus everything. 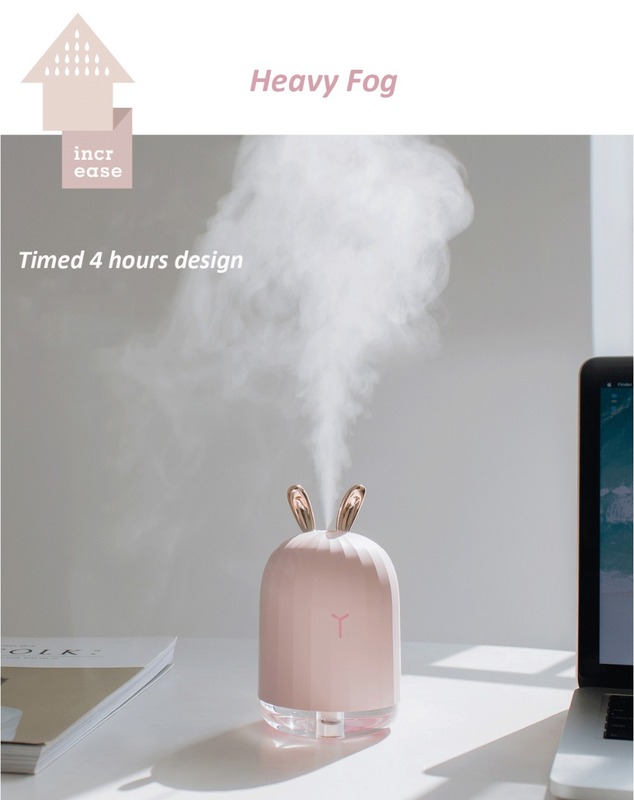 Very cute humidifier! All work, color changes. There are instructions in English, simple and clear! A great thing! All advise. 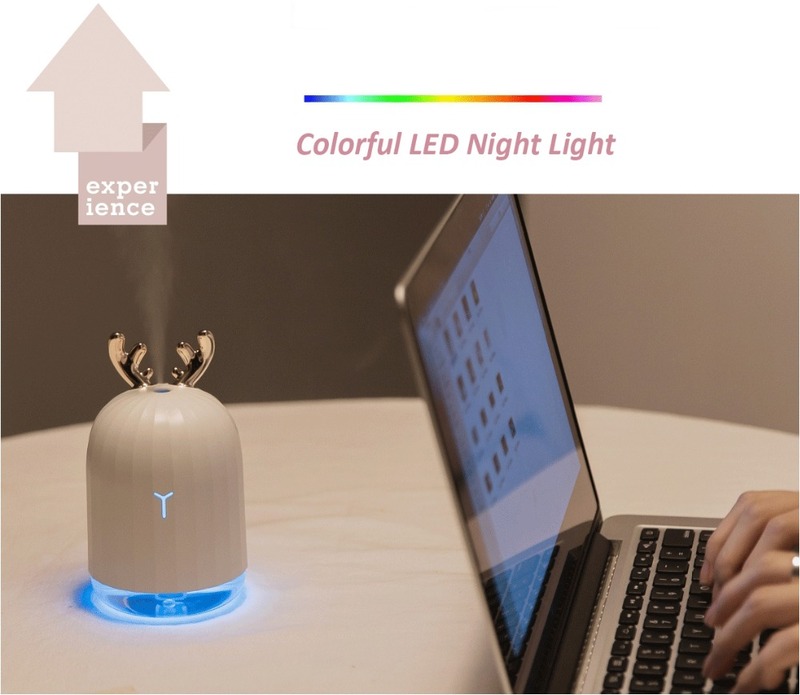 Can be used as night light or as a humidifier. Or both together. 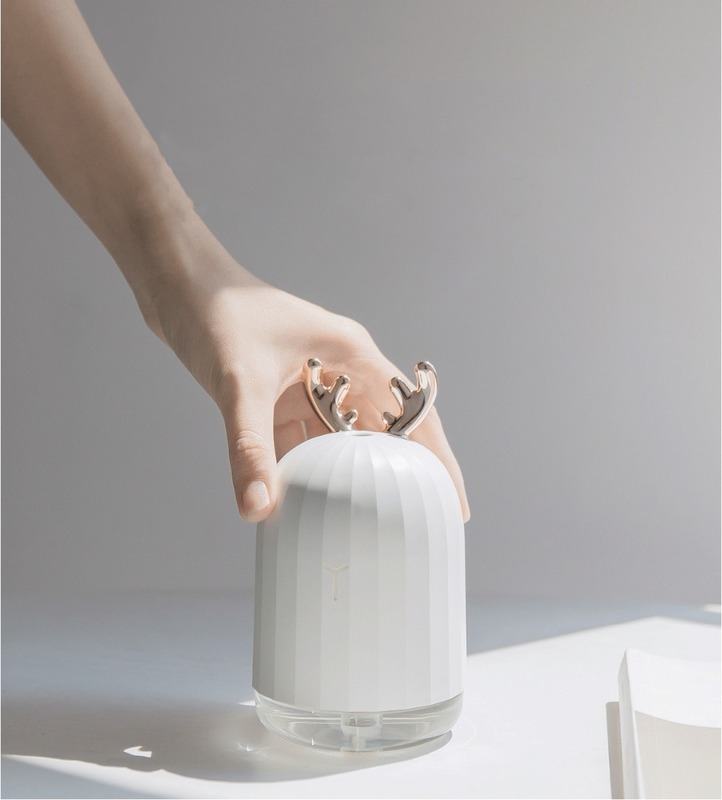 Really cute humidifier, small, but very elegant :) works great! Fantastic! Fast delivery, you can use it with perfumed water or oils.